Good times to be a Spurs fan right now. High in the table, high on the intoxicating football that’s got us there. A thumping victory against the Whammers achieved by an outstanding performance as Tottenham just get better and better, individuals at their peak, the side flowing with the effortless instinctive ease of true teamwork. Seldom seen, especially at the Lane of late, but never forgotten. Yes, I am going to rave about this one. It was a joy to behold. Football at it should be played. Attacking football, ball on the ground, pass and move, played by a young side bursting with pride for the shirt, playing for each other, for their manager, playing for us. Overflowing with skill, bundles of effort. A side we’ve put together ourselves, giving young men the chance to prove themselves. Doing things the right way, taking the game to the opposition, hard as nails when needs be. It’s what I want my Tottenham to be. We’ve watched it form before our very eyes, growing pains at first and some painful efforts last season to be sure. Now we’re in at the birth of something that could be special. I’ve seen team-building and re-building over the years but nothing like this, when almost without noticing and without any one particular thing happening, it all comes together. Seen good teams but seldom a side that works so hard for each other, filling gaps, understanding the space and time around them. Comparisons with our glory years are invidious and unwarranted, but this must be a little like the feeling fans had in 1949 when Arthur Rowe put his push and run team together in Division 2 or a decade later when the pieces of Billy Nick’s side fell into place, no trophies but the sense that something’s changing. Looking back we won’t be calling 2015/16 a transitional season, that’s certain. This lot aren’t up to the standards of their illustrious betters but that’s not the point. Let’s see where this takes us and enjoy the ride. Yesterday after a scratchy opening, Spurs asserted themselves. Once again we saw Tottenham suss out how to overcome the problems posed by well-drilled opponents set up to stifle the space and attack on the counter. Pochettino made a shrewd tactical switch, playing Alli in the forwards with Dembele, who has done well in an advanced position over the past few weeks, in a deeper role alongside Dier. Presumably this was to give more strength in that area and maybe to allow the Belgian to hang on to the ball under pressure and give others a fraction more time to get into position, as he did versus Liverpool and the Klopp press recently. Whatever, it worked. Wham were unable to create anything much. We kept up our press for the whole game and were stronger in one-on-one situations. It meant we dominated for extended periods and at times played simply glorious football. By the twenty minute mark, Spurs were on top, scored twice and subsequently seldom challenged. Alli’s shot at the edge of the box but fell to Kane. He thumped the ball home after an utterly gorgeous shimmy away from a hapless defender. Reminiscent of the barely perceptible move that set up his second half goal versus Chelsea last season, it was a thing of great and lasting beauty. Alderweireld scored the second from an Eriksen corner, perfectly delivered to the near post. We were right behind the line of the ball. It seemed as if the net opened wide to receive it, a huge gap in a packed penalty box. The Hammers’ scouts obviously hadn’t watched the City game – this was the same move, same outcome – but it’s hard to defend if the player comes across the defender at full tilt to meet a ball coming at pace. It reminded me of goals Chivers regularly scored from set pieces. I’ve often wondered why the move is not used more often. Then my goodness me we were good. A bewilderingly fast move took the breath away, Rose, Eriksen, I don’t know, all a blur….Alli hit the bar with a header. Kane horribly shanked a left-footer when clean through. And as the half closed, the other reason why we’ve improved so much. Vertonghen expertly defended in his box twice, he and Toby rock-solid, playing as a partnership. Alderweireld is one of the buys of the season. Second we kept up the press and the tempo. Dembele came into his own, a rock upon which attacks broke up, going forward he was irresistible. Eriksen seized on a poor pass out of defence, to Kane who lent back and athletically creamed a low shot past the keeper. It looked better from the Shelf – it went under the keeper’s body. For the rest of the game, Spurs attacked with creativity and exuberance. Mason, on as sub, hit the post and shot a dropping ball straight at the keeper when anywhere else would have scored. Walker as reward for a good game and fine season curled drove in the fourth with the outside of his foot. Minutes later he was beating the ground in frustration and anger after his mistake let in West Ham for a late absolutely-no-consolation-whatsoever goal. The fact that this and a dodgy Lloris clearance are the only defensive mistakes of note says volumes for our performance. That goal was celebrated wildly by the two hundred-odd away fans left in the ground. The others may have wanted to get back in good time for Countryfile. They would have been disappointed in their side’s lack of fight. Before the match I thought they would be a sterner test than Arsenal because of their organisation but the motivation evaporated after our second. So Dembele the best, Toby and Verts just behind, everyone else merely excellent. Son did not get on the ball very often but his movement gives us an extra dimension. And through it all, there’s Eric Dier. Last week I was lucky enough to meet Gary Mabbutt at the London Sports Writing Festival and I was struck by the similarities. Dier could well follow in his footsteps. Like Mabbutt, he came into the side earlier than planned (Mabbutt was told on signing that it would be two years before he got into the first team, in the end it was two months), and he’s versatile, starring in midfield and full-back before settling into the back four. He certainly has the leadership qualities, with a fierce focus and determination. Yesterday he took no nonsense whenever there was handbags, first there to sort it out. Also at the Festival, three top journos, Henry Winter, Michael Calvin and John Cross, told how Pochettino is very close to his players, highly popular and mucks about in the dressing room. The evidence was on show yesterday. Coming home I felt calm and serene. Hard to see how that could have been bettered. It’s lasted. A fabulous performance infused with the joy of players and fans discovering just how well they can play. Over in the West Stand, Stephen, a good friend of the blog, e-mailed to say, he’d never thought he’d see the day but Daniel Levy smiled. Praise indeed. The best thing of all was the quiet joy of the victory. All last week there was a plethora of opinions put forward about how Spurs would lose this one. A West Ham blog “Claret and—” carried umpteen articles boasting that their team was man for man better, and the pundits, God what a misused phrase, were tipping draws or 2-1 defeats. Then on top of that there was the usual nonsense from Brady and Gould. It seems they have all gone suddenly quiet–that’s what I mean by ‘quiet joy’. ‘Quiet joy’ sums it up nicely David. All this pre-game braggadocio passes me by – it never won a football match and ‘mind games’ is a meaningless phrase invented by papers and pundits to fill space. It shows they were not confident. I still feel the quiet joy, staying with me all week, not about the Hammers but how good were we. I had the pleasure to see the Rowe team play as well as the double team and of them in between and up to date. I am quite excited about the squad we have and some of the football is a joy to watch and Inthink both Rowe and Bill Nick would be proud of what the team delivered on Sunday. Now I am not getting carried away and the team still have to improve and cut out silly errors and mistakes but they are certainly on the right road. I also think Mo Po has struck the right notes from the two interviews he did after the woolwich game when he went over and applauded our fans and after Sunday’s game when the pride came through loud and clear. Keep up the good work and feet on the ground. Good to hear from one who was there! Thanks Keith. That felt so special. Not just because of the win itself, but in the way it was achieved. It was all very UnSpursy. It’s always a good sign when the only disagreement between Spurs fans is on who was Man Of The Match. Have to put a special word in about Dembele too. He seems to be transformed this year. Wouldn’t it be amazing if we didn’t muck it up for once and this was the start of something really special? Alan I dont know,your articles lately have stirred the emotion and thats because all that enjoy wonderfully exciting football that has the integrity and depth within from a manager who we’ve all at some time questioned,and who now is proving his vision can be brought to life has brought this to us. The pace,the press,the flow,the definition are all there to see. I was told we were looking to be a kind of Atletico from a few short years ago and after watching them saw what we were supposed to do and yet it looked last season all too AVB. But now Dier,Alli,Son,Kane,Eriksen,Dembele and the fortified back line is bringing this wonderful football. To be honest,scores are great,but they really should be a scorecard for the great work that is done rather than as a thing unto itself. This is amazing stuff Alan and you have so eloquently chronicled it in wonderful prose with feeling. You kniw in the sixties,when we were the thing,the Beatles,Muhammad Ali,you name it of its time,it we was like we were the best and the only team that epitomized us was Real Madrid and how we wished we could have met them,it woukd have made a match fit for heaven back in 1962. Now I have shivers again from thinking that the opportunity for us to be great looks closer and closer. We dont have that one star, we dont have 2 or 3 not bad stars. I was blown away by this game (and the few before this) in our structure…and exhuberance as you mentioned. Its certainly is the best time to be a Tottenham supporter.Im shaking. Dier does.He is the new Mackay.Not exactly Mackay for no one can be. But this game’s Dave Mackay.He is the backbone of this team with 4 behind him that have become a fortress,and the bishop of a goalie.He has held the fort this season,even before the others had evolved. Pleased you are enjoying the ride Ron. Plenty to write about, not just about the game but also the impact it’s having on supporters and because we are doing it the right way. Nice post Ron, appreciate that. course of the season to maintain this unselfish high ‘pressing’ level of performance? Or could they, this young talented squad, burn out, individually or as a group? It depends on how they are managed, and how much they want success for themselves, the club and the fans, and whether the focused ambitions of the club/team/squad can override the natural individualistic desires that any young well paid talented footballer in a top club has. I’m certainly not against individual heroes (Mackay and Greaves were mine, and later Hoddle and so on) but to see few or no weaknesses in a Spurs team has always been the wish for so many of us long standing fans. Who knows where this journey will take all of us? They were frighteningly good against WHam, but in a way that makes me nervous, as well as proud …because where do I hold my expectation level now? It is attractive football,when was the last time we said that? 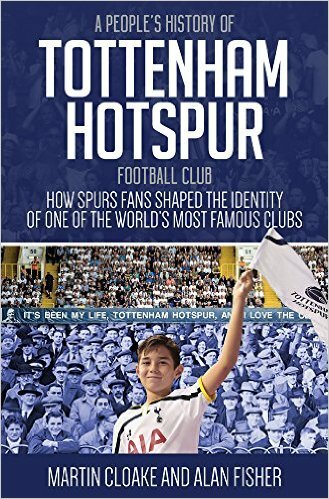 It pays homage to Harmer,Danny and White,Hoddle,Ardiles and Ginola…. This is the difference CB – the team. 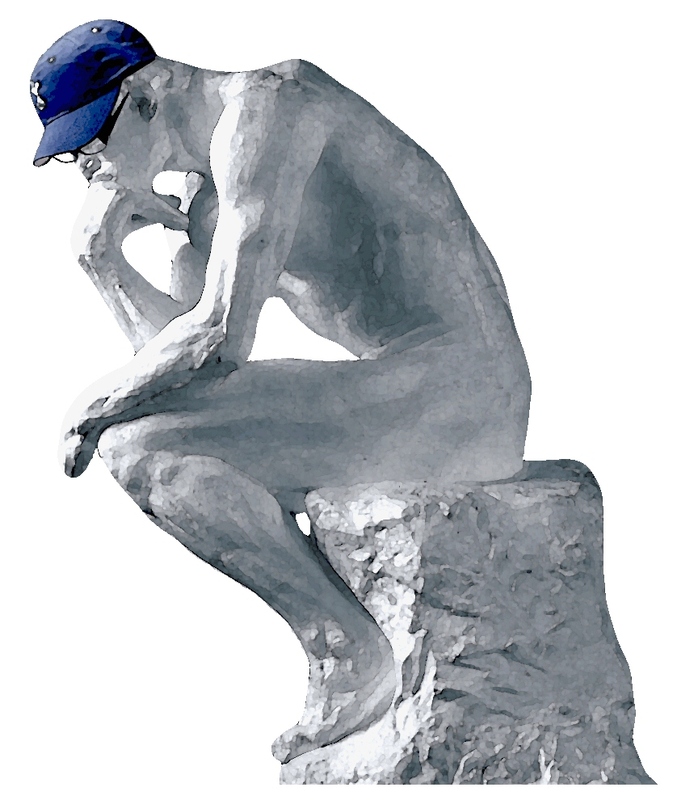 Team performances stay in the memory because they are relatively rare but over the past few weeks the movement and understanding has been nothing less than remarkable. We can both leave the nerves for later – enjoy it first! Your comment about the sixties and Real Madrid if valid, but at the moment, with the input of youth, I think the team we might most associate with is Barcelona. We play the pressing game and we play with players that are coming through the youth system. All the portents are good.The future is bright, the future is Lillywhite! Cheers Alan, missed your writing recently. Oh the joy of being a Spurs fan right now. Sure feels good. Pleased you’re enjoying it too my friend. Absolutely loving what I’m seeing and still seems surreal for me. What I loved the most about yesterday was not only the skill but the fight we had as well, and stood up well to their dirty tactics. Thanks Alan for another great read. Have we silenced the doubters yet?? Spurs have a young side that will only get better. We can win the league!!!!! I still can’t work out if WHam choked on the day or if Spurs were so superior that they were able to snuff out any threat through individual talent, teamwork, tactics and guts. A bit of both, I suppose. Wham and Bilic away are no pushover, as their results show, but this was the new Spurs against the old happy Hammers. I like Son in the team. Lamela is so wasteful that I compare him to ‘the profligate son’ (sorry) but now we have the real deal in Son who gives us more pace, imagination and threat (how many times does Lamela bottle it when given a chance to drive into the box? He always hands over the responsibility to others). Hopefully Poch will not flog this team all the way to Azerbaijan and instead load the Europa team with others who need game time. Delli will have to go and play as punishment for his youthful indiscretions. If we listened to Bill Shankley’s advice to wait 12 games into the new season before making any judgements on his team, then we are nicely placed to go about our business in the January transfer window. We have a largely settled team. There are no glaring deficiencies that would tempt a panic buy. Instead just a couple of high quality additions to take the load off Harry when necessary, and to add more cunning and experience in midfield. Good times. Think we really were the better team – we worked out how to defeat their tactics but they were unable to work us out. They looked beaten after the second goal. This idea of ‘in-play intelligence’ interests me. I’m struck by how mature this team is in this respect – filling in gaps, one forward, another drops back without any apparent messages being articulated. Working out problems in play, as we did against Liverpool. Son brings a lot – movement and support for Kane, a better option than Lamela despite the Argentinian’s improvement. Alan, you say: “Attacking football, ball on the ground, pass and move”. Agreed totally. After a somewhat stuttering start, the lads suddenly realised they could win this one, but also with stylish football. Not just win, but so demoralise the other rabble that it was a rout, comprising some cracking moves and goals too. I quote you above as there is another Spurs strength that I think is developing – the 50-60 yard long, high lofted crossfield pass wing to wing or diagonally upfield. For years that has always struck me a rather negative, panic-induced trait in Tottenham’s game. But lately the accuracy and anticipation are such that it’s beginning to produce flow and movement that can win us lots of points from the so-called CL shoo-ins and many more from the rest. The team-work ethic on Sunday matched some glorious individual skills. And I’d like to mention one player who seems to have been overlooked above – Danny Rose – maybe not MOTM, but still damned good! Bring on the pensioners (tee hee)! COYS!!! I started in 67 so delighted to hear my comparison with the old days wasn’t so far off the mark. Good stuff, thanks. New to this site and what a pleasure to see people respecting one anothers views. Been a regular at the Lane since the sixties and I can’t remember a Spurs side with such a team spirit as this one. The trouble makers have been weeded out and we have a happy and committed changing room. Big game on Sunday which if we can win the rent boys have a mountin to climb if they are to catch us. Welcome, and you might like to know Alfie is a hero round these parts. The comments are usually better than the articles 😉 I am the same vintage as you – this is as good as I can remember in terms of a team playing as one. I must admit I’m torn these days. I want to try and enjoy the good results, such as Sunday’s ‘romp’ (as The Sun might have it) , but as each good result or/and encouraging performance comes along, I almost immediately start worrying about the next game. Every game is now of the ‘vital importance’ type, although thankfully not yet a ‘must win’ otherwise I’d not be sleeping a wink. I’m not sure my Spurs DNA is cut out for this potential success malarkey, I’m spending a lot more time than a man in his late forties should do, worrying about how the manager is going to juggle the UEFA Cup and League teams. Sad maybe, but I’m very happy! Still early days, but all the signs are there of something truly special. There will be bumps ahead, and how this young team responds to a setback might tell us whether we need to wait for success or if it is imminent. My hope is the team reacts to adversity when it comes the same way Harry Kane reacted to his relative goal drought, front it up, hide from nothing, keep fighting, and put things rights th in style. Respect to all the players and management, no passengers and a never say die attitude is one hell of a step towards success. Great read, as always. Only noticed last week’s excellent read tonight. It’s odd – all these hard-bitten Spurs cynics coming over all optimistic…:) Applies to one or two I know, join the club Dan. There are often jumping off or on points in any season, where clarification and definition can start to take shape, and this game had that feel. The next two games I believe are critical in defining the course for this year, strong words I know, but a 4k thursdayeastern “european” trip to a surprisingly strong squad and a quick bunce back to a persistent burr in the premier league saddle is quite a challenge. Great teams find ways to maintain momentum. This team really seems to like playing for each other, this is something that has not been seen for years at Spurs, maybe the naiveté of youth, but so glorious to behold. Like seeing David in a block of Carrera marble, Poch is chipping away, molding and fashioning a team in a beautiful image; pressing,swarming in a choreographed purposeful manner. The art of the inciteful direct forward pass returning to the Lane. Central defenders who know where to be , how to communicate and work in tandem. A kid thrown in the defensive midfield who gets what it means to wear the Lilywhite, Gibraltor like, I can see him grabbing Jack Wilshire by the scruff of his neck with a fist in the face. Honestly it is just plain enjoyable to watch. Happy Thanksgiving to the left side of the Atlantic, and lay off the Black Friday in London. Happy Thanksgiving to you and your family Ed. It’s gettting harder to ignore thefeeling that we are pretty damn good and that we are finally on the Road FROM Nowhere.